This arresting film from Festival favourite Hirokazu Kore-eda (Still Walking, Nobody Knows) is a profoundly complex moral tale belonging to that most irresistible of categories: the murder mystery. It seems clear from the first scene that Misumi (international superstar Kôji Yakusho) robbed and killed an industrialist — Misumi freely admits as much, claiming he was desperate to settle a gambling debt. 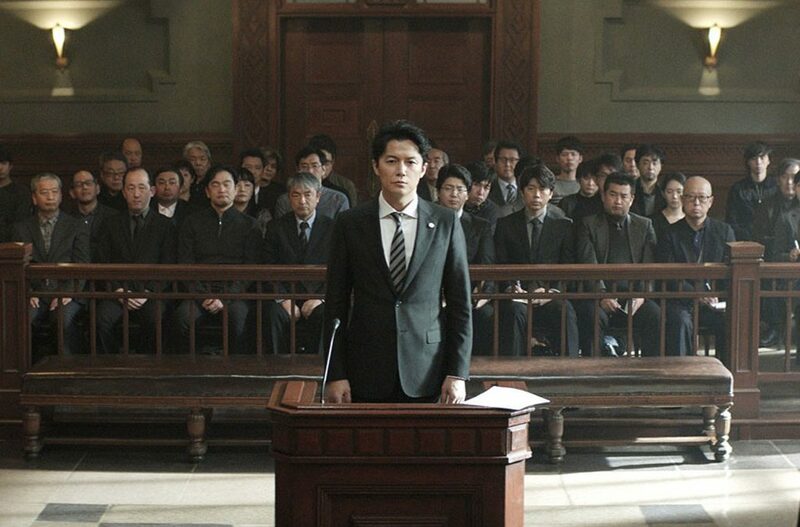 But defence attorney Shigemori (Masaharu Fukuyama, Like Father, Like Son; Manhunt) isn’t entirely satisfied with his mild-mannered client’s testimony. As Shigemori and his team go about their research, secret histories are brought to light, inconsistencies surface, and unlikely alliances point to a more complicated set of circumstances.